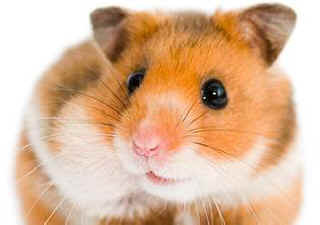 Tell Northeastern University to end the psychology department’s cruel hamster-fighting experiments. For nearly two decades, experimenters from the Department of Psychology at Northeastern University in Boston have been injecting hamsters with anabolic-androgenic steroids and other aggression-promoting drugs and then forcing them to fight each other. Since 1996, the experimenters have injected hundreds of animals with steroids, cocaine, and other substances, sometimes drilling into their skulls and injecting the drugs straight into their brains. These violent experiments are not only cruel but appear to violate Massachusetts state laws against cruelty to animals and animal fighting. PETA is calling on the Massachusetts attorney general to end these experiments and if appropriate press charges against those responsible. After a hamster is drugged and becomes hyper-aggressive, experimenters put a hamster who has not been injected with drugs into the drugged hamster's cage, exploiting the animals' natural tendencies to be solitary and territorial in order to force them to be aggressive in these contrived scenarios. Experimenters watch, videotape, and even "score" the ensuing fight, rating the hamsters on how many times they bite, attack, lunge at, and trap the other animal. They then declare a "winner" and a "loser." Like a twisted sports-style tournament, they force some of the animals to fight multiple times against different opponents as they advance with each "win." Other animals are killed and then have their brains dissected. For these macabre animal-fighting experiments, the team received more than $306,000 in taxpayer money from the National Institutes of Health in 2015 alone, and more than $3 million since 1996.